The protest of CK Raut and his cadres on Constitution Day on September 19 should be taken as a threat they possess for Nepal’s territorial integrity in federal set up. They displayed slogans that read ‘Madhesh is not in Nepal’ and ‘Madhesh will be the future country in Asia’. If we go into specifics of trajectory of Nepal’s post-conflict transformation and the design of federalism, it shows that the political actors have put Nepal’s territorial integrity on the topmost priority. Federalist scholar like David Elazar argues for ‘self-rule with shared rule’ for sustainability of federalism and prevention of the secessionist tendency. This implies that the provinces should be provided with sufficient autonomy to carry out day-to-day function (self-rule) and at the same time, citizens and elected members should be adequately represented at the federal level through inclusive proportional representation in the Upper House of the parliament, federal bureaucracy, federal security forces and justice delivery mechanisms (shared-rule). This helps ensure balance of independence and coordination in their respective spheres of governance. It is quite evident that Nepal’s current federal design has been guided by the centralist tendency with limited autonomy for provincial governments. This was evident during the two-day conclave of chief ministers held in Pokhara and their nine-point Pokhara declaration that highlighted the problem of Nepal’s nascent federalism process. The dissatisfaction of chief ministers of seven provinces has become well-known and they have been lamenting their inability to exercise autonomy in the policy and operational works. CK Raut has using this as evidence to convince the participants at the rally in Janakpur. He categorically identified the inability of Province 2 government to include Madhesis in the provincial bureaucracy and police forces. His argument is that self-rule as promised by the constitution has been not actualized. He derives rationale of his argument form this particular point and argues that only independent Madhes statehood can guarantee real self-rule for Madhesis. We must realize that CK Raut has been raising the issue of Madhesi identity for years. And Madhesi people too seem to have believed in him, to whatever extent, with long-held aspirations for a degree of self-government. CK Raut argues that the Nepali state in which Madhesis live contains more than one nation and Madhesh nation possesses an inherent right to self-determination, and that they are therefore entitled to their own separate statehood. Examples from other post-conflict federal states suggest that national minorities accept the premise that states are the means by which nations exercise their right to self-determination over their territory. If we ignore this principle, it will only give CK Raut an edge for his strategic demands. Prithivi Subba Gurung, Chief Minister of Gandaki Province, recently said fear of Province 2 has made the center reluctant to allow other provinces to exercise the rights and powers granted by the constitution. Political actors in Kathmandu seem to be guided by the belief that giving more powers to Province 2—the Madhes province with territorially concentrated population along the border with India—could pose a threat to the federal government and undermine the role of the centre. But this very defense of the center has provided momentum to CK Raut, who accuses Khas-Arya politicians and bureaucrats of being reluctant to share power with the province. Moreover, CK Raut now also alleges that Madhesi politicians can no longer voice the real concerns of Madhesi people and promote Madhesi identity and self-rule. This could motivate more Madhesi youths, who feel they lack opportunities in Nepal, to join Raut’s movement. Theories of post-conflict federalism design argue that federalism in a multi-ethnic society has to be designed in a way which can ensure that national minorities can become majority in the provincial government and thus be able to enjoy ‘self-rule’. Writers like Mahendra Lawoti have criticized Nepal’s federal design as failing to provide autonomy to the provinces. Ethnic communities like Newars, Rais, Gurungs and Magars still feel left out. 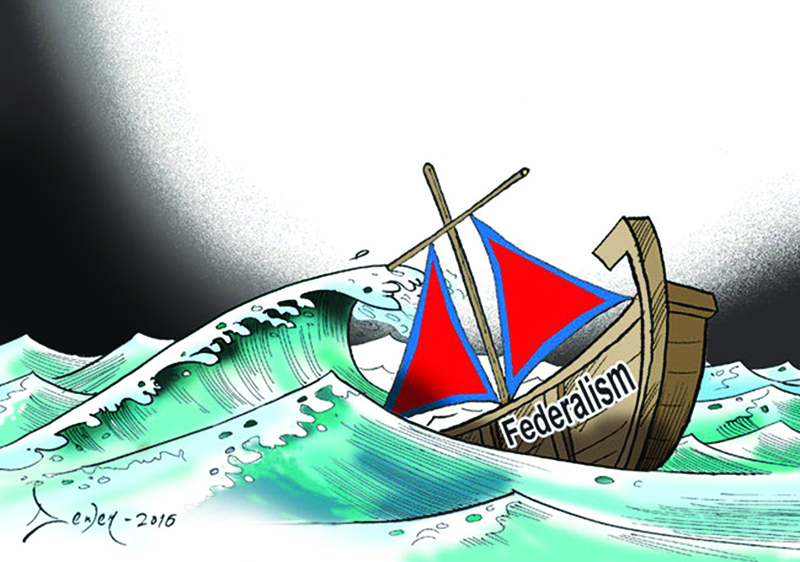 Studies have shown that dissatisfactions among stakeholders with the federal boundaries and lack of adequate power sharing and autonomy have only led to further conflict in the post-conflict federal countries. In Nepal’s case, the argument goes that except for Madhesis, other ethnic groups are all minorities and therefore it will be difficult to carve boundaries on this basis. On the same basis, the current seven-province model has been justified as the best suitable federal model for Nepal. But ethnic scholars do not agree. Nepal’s Tarai-Madesh is under watch nationally and internationally. 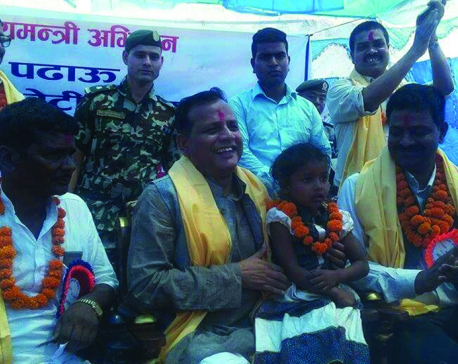 International actors have been closely following the political developments in Tarai-Madhes. CK Raut has been successful in internationalizing Madhes issue. Thus any form of state repression against him or his cadres is bound to escalate the crisis with geopolitical implications. Neither India nor China, with their own rising aspirations within the region, will benefit from the conflict in their backyard. It could potentially provide impetus for independence movement of Kashmir and Tibet. 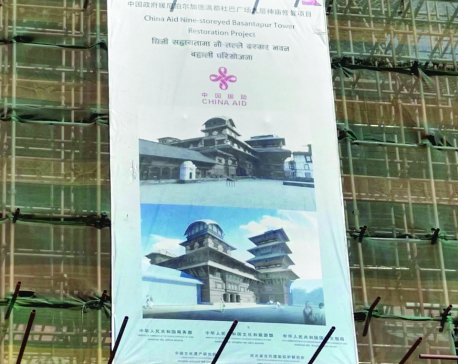 India and China are aware of this and, therefore, they are encouraging Nepal to ensure political stability with successful implementation of federalism. The successive regimes in Nepal have equated territorial integrity with regime security and nationalism. CK Raut dismisses this by calling it the ploy of the ‘Khas-Arya’ elites to rule over minority. He argues that Madhesis do not fit in mainstream narrative of Nepali nationalism. Thus the government of KP Sharma Oli needs to defeat CK Raut by strengthening federalism and inclusive nationalism. Self-governance prevents secessionism. It is important to empower provincial government constitutionally. For this, first of all, inter-province coordination council meeting should be held without any delay. This meeting will provide a venue for federal government to heed the demands and concerns brought to the fore by Chief Ministers. This will also contribute to improvement of center-province relationship. Second, inter-province council meeting should be the basis for futuristic constitutional amendments. It will also enable the formulation of necessary laws for effective functioning of the provincial government and further strengthen the inclusiveness in all state organs. To my mind, these are the only ways to defeat the extremist forces. Ignoring them could regrettably embolden the secessionist movement.